Providing you the best range of stainless steel 309 s washers, stainless steel 310s washers, stainless steel 316 washers, stainless steel 316ln washers, stainless steel 317 washers and stainless steel 317l washers with effective & timely delivery. A broad array of steel washers is manufactured by us which is used in those industrial applications where radial space is limited. These washers are effective where locking action is required against rotation of the screw of bolted assemblies. Our range includes plain washer, plain big & small OD washer, spring lock washer, spring washer heavy duty, tooth washer, star washer, tab washer with one & two tab. With close tolerances and superior finishing these are ideal for electrical and engineering applications. Backed by the hard working of our innovative engineers we are capable of supplying a broad assortment of steel washers which find multiple applications over the mechanical as well constructional industries. We make these products in a way to have close tolerances and superior finishing. Our range includes plain washer, plain big & small OD washer, spring lock washer, spring washer heavy duty, tooth washer, star washer, tab washer with one & two tabs. 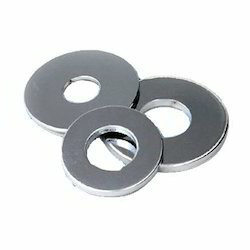 We are reputed for providing superior quality Stainless Steel 316LN Washers that are highly demanded in the market and are used in various industrial applications where radial space is limited. 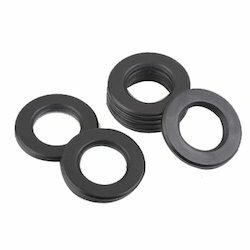 These washers are developed with the help of top notch technology and are highly effective where locking action is required against rotation of the screw of bolted assemblies. Our range is tested on different parameters and includes plain washer, plain big & small OD washer, spring lock washer, spring washer heavy duty, tooth washer, star washer, tab washer with one & two tab. 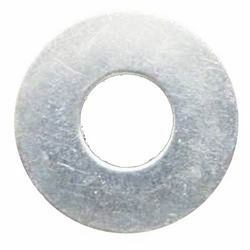 These washers are made from superior quality metals and are offered at competitive rates. They are offered in different specifications, sizes, shapes and are highly ideal for electrical and engineering applications. Other advantages include close tolerances and superior finishing. 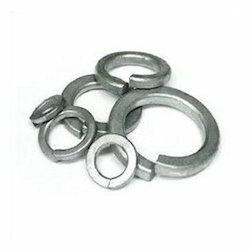 We are appreciated for offering superior quality Stainless Steel 317 Washers that are developed with the help of dexterous technology and are always used in those various industrial applications where radial space is limited. 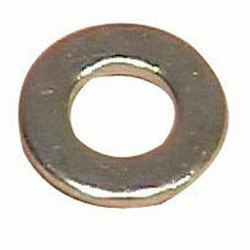 These washers are known for their long lives, optimum performance and are very effective where locking action is required against rotation of the screw of bolted assemblies. Our products are consistently tested on different parameters and they includes plain washer, plain big & small OD washer, spring lock washer, spring washer heavy duty, tooth washer, star washer, tab washer with one & two tab. They are offered at reasonable rates and are ideal for electrical and engineering applications. Further, they could be easily maintained and have close tolerances and superior finishing. We have mastered the art of offering superior quality Stainless Steel 317L Washers that are developed with the use of excellent technology and are used in various industrial applications where radial space is limited. 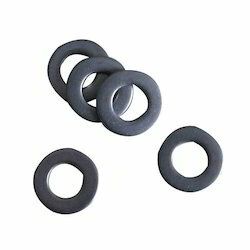 These washers are known for their long service lives, quality and are very effective in conditions where locking action is required against rotation of the screw of bolted assemblies. Our range is highly popular in the market and includes plain washer, plain big & small OD washer, spring lock washer, spring washer heavy duty, tooth washer, star washer, and tab washer with one & two tabs. 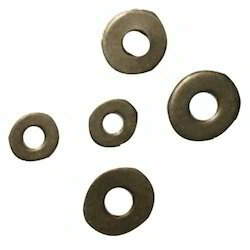 These washers are manufactured as per customers’ varied specifications and with the help of superior quality metals. Further, they are available in various sizes, shapes and patterns and are considered perfectly ideal for electrical and engineering applications. Additional qualities of our washers include close tolerances and superior finishing. 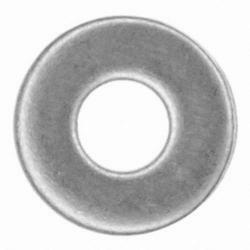 We offer robust performance Stainless Steel 321 Washers that are manufactured using extreme quality raw material. These includes plain big & small OD washer, plain washer, spring lock washer, tooth washer, spring washer heavy duty, star washer, tab washer with one and two tab. We perform quality and performance measure inspection of these Stainless Steel 321 Washers under various parameters in order to get smooth flow of operation. We also engaged in customizations of these Washers as per the client’s specification. These are widely demanded in electrical and mechanical industries. We manufacture and export high quality Stainless Steel 321H Washers that is renowned in several small scales to large scale industries. We do complete quality and performance measures of these Stainless Steel 321H Washers at various levels of production as to ensuring excellent performance, corrosion resistance, excellent mechanical and electrical properties and durability. These includes plain big & small OD washer, plain washer, spring lock washer, tooth washer, spring washer heavy duty, star washer, tab washer with one and two tab. We provide a unique range of Stainless Steel 347 Washers which is manufactured using premium grade of raw material. These Stainless Steel 347 Washers are applicable in many industrial areas and are widely appreciated for corrosion resistance, optimum quality, high performance and easy maintenance. These includes plain big & small OD washer, plain washer, spring lock washer, tooth washer, spring washer heavy duty, star washer, tab washer with one and two tab. We offer a comprehensive range of Stainless Steel 347H Washers that is widely demanded in several small scales to large scale processing industries. We manufacture these Stainless Steel 347H Washers using qualitative grade of raw material that is soured from our most reliable vendors. We export these Stainless Steel 347H Washers in various countries across the globe. These includes plain big & small OD washer, plain washer, spring lock washer, tooth washer, spring washer heavy duty, star washer, tab washer with one and two tab. We offer an engineered range of Stainless Steel 904L Washers that are manufactured using extreme quality raw material. These are widely demanded due to salient features like corrosion resistance, standard grade of quality, less maintenance, exact specification and varied range. We perform quality and performance measures under various protocols in order to get smooth flow of operation. We also do customizations of these Stainless Steel 904L Washers as per the client’s specification. These includes plain big & small OD washer, plain washer, spring lock washer, tooth washer, spring washer heavy duty, star washer, tab washer with one and two tab. 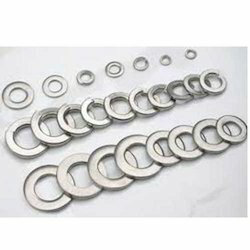 Our organization deals with the production of steel washers which is exclusively used in various industrial applications where radial space is limited. Made of premium quality stainless steel this range of washers is effective where locking action is required against rotation of the screw of bolted assemblies. 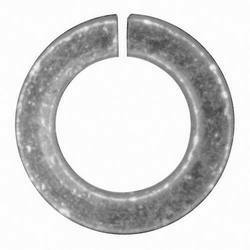 Fabricated with optimum quality raw materials these washers have close tolerances and superior finishing. Our offered range of stainless steel washers is applied in various engineering & electrical applications where radial space is limited. We use high quality stainless steel 310H for fabricating this range to make them highly anti-corrosive, robust and durable. This range is effective where locking action is required against rotation of the screw of bolted assemblies. Our range includes plain washer, plain big & small OD washer, spring lock washer, spring washer heavy duty, tooth washer, star washer, tab washer with one & two tab. We have expertise in manufacturing stainless steel 304 washers which are exclusively used in various industrial applications where radial space is limited. The washers are effective where locking action is required against rotation of the screw of bolted assemblies. Fabricated with superior quality raw materials the washers have high tolerances and perfect finishing which are ideal for electrical & engineering applications. Our range includes plain washer, plain big & small OD washer, spring lock washer, spring washer heavy duty, tooth washer, star washer, tab washer with one & two tab. 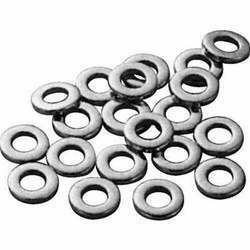 We always excel in offering superior quality Stainless Steel 316TI Washers that are developed with the help of effective technology and are used in those various industrial applications where radial space is limited. 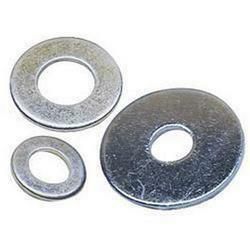 These washers are developed as per industry leading guidelines and are very effective where locking action is required against rotation of the screw of bolted assemblies. Our range is tested on different quality parameters and includes plain washer, plain big & small OD washer, spring lock washer, spring washer heavy duty, tooth washer, star washer, tab washer with one & two tabs. 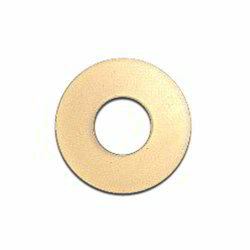 These washers are developed from superior quality metals and are offered at highly competitive rates. They are very popular among customers’ and are ideal for electrical and engineering applications. Our washers have advantages like long lives, optimum performance, simple maintenance, close tolerances and superior finishing. A broad range of stainless steel washers is manufactured by us which cater to the demands of numerous application areas in engineering and construction industries. Made from qualitative grades of steel, these stainless steel washers are widely acclaimed for durability, corrosion resistance and high tolerance standards. We also offer customization of designs as per the requirements directed by the clients.